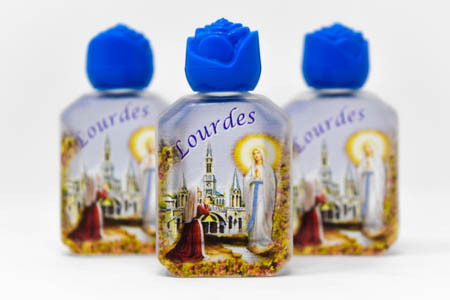 3 Square glass bottles of Lourdes holy water with blue rose caps. 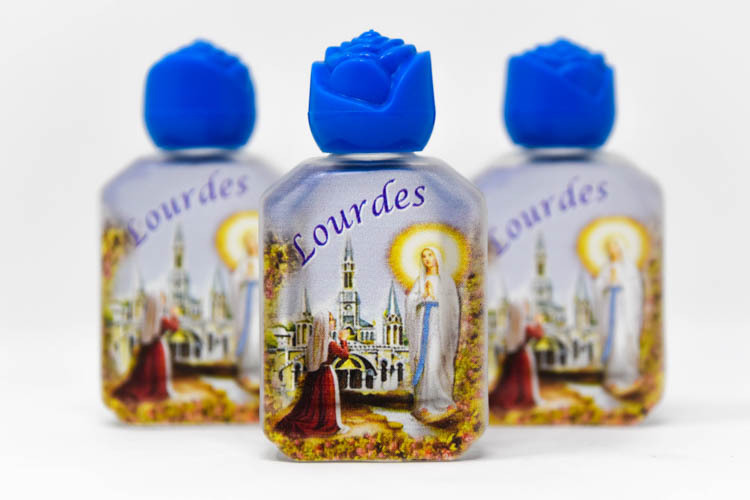 They have a painted image depicting St. Bernadette kneeling to Our Lady of Lourdes. These bottles measure approximately 6 cm in height.